A simple, yet heavenly dessert with ripe local peaches, coconut milk, cinnamon and raw honey. If you need a quick, easy, and healthy summer dessert recipe that's gluten-free and dairy-free, make this today! With less than a month before the official end of Summer (i.e. the fall equinox), I thought it was the perfect time to share my favorite easy summer dessert with y'all. I love all kinds of desserts, although I don't make them at home very often because I'd snarf down the whole thing all by my lonesome. I usually stick to treat with individual servings like healthy peanut butter balls, puff pastry cherry turnovers, or strawberry shortcake & lemon curd parfait. Then I can give the rest away! The main ingredient in this quick recipe is peaches (hopefully in-season and local if you can manage). There are tons of ways to enjoy seasonal fruit in dessert dishes (cobbler, pie, and crisps are some of my favorites), but since I'm usually fixing something for myself and not a crowd I try to make something with only a few steps and ingredients. After all, the fruit is already delicious enough by itself. Because of this, I devised a yummy concoction earlier this summer out of simple ingredients in my fridge and pantry: coconut oil, coconut milk, raw honey, and Ceylon cinnamon. Plus, super ripe peaches, of course. That's it! 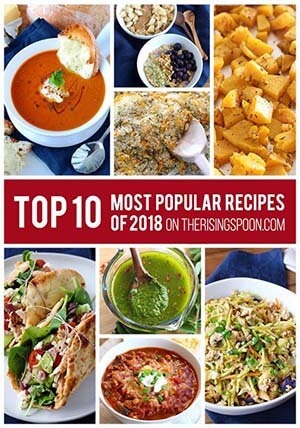 I loved the simplicity of this recipe SO much that I came up with a similar version using ripe plantains and real maple syrup (so it's vegan-friendly) if you'd like to try it! 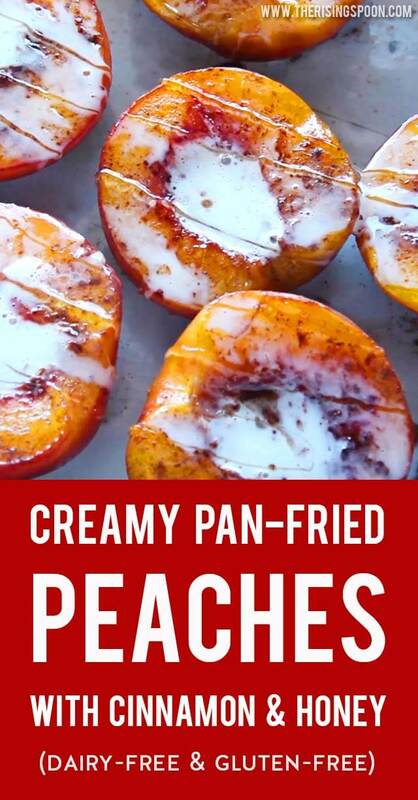 Since peaches won't be in season much longer here in Texas (they're typically available May through September), I plan on consuming these creamy pan-fried peaches as much as humanly possible in the next few weeks! Then fresh peach salsa, peach muffins, peaches + ice cream...the list goes on. Can't find fresh peaches in your area right now? Try substituting other stone fruits like apricots or plums and even using frozen, organic peaches that have been thawed in the fridge. 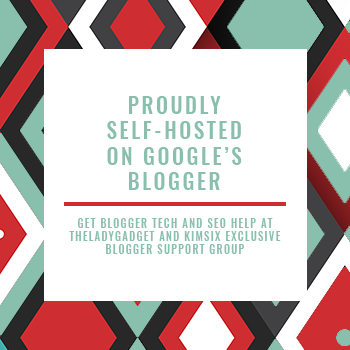 If you're a visual learner, make sure to watch my short recipe video by clicking below. 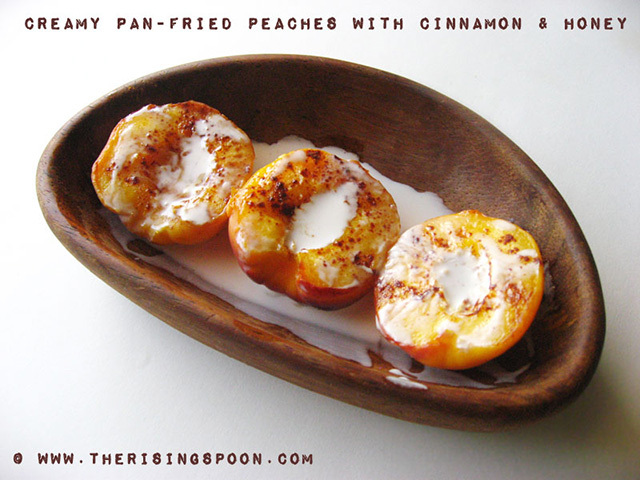 It illustrates the super easy process of pan-fried peaches in minutes! A simple, yet heavenly dessert with ripe local peaches, coconut milk, cinnamon, and raw honey. Heat a cast-iron skillet to medium and add the coconut oil. While that's melting, wash and dry the peaches, then slice them in half. Use a spoon or your fingers to remove the pits and discard. When the oil and pan are hot enough, place the peach halves face down and cook 2 minutes. Flip and cook for another minute. Remove from the pan to a bowl or rimmed plate. 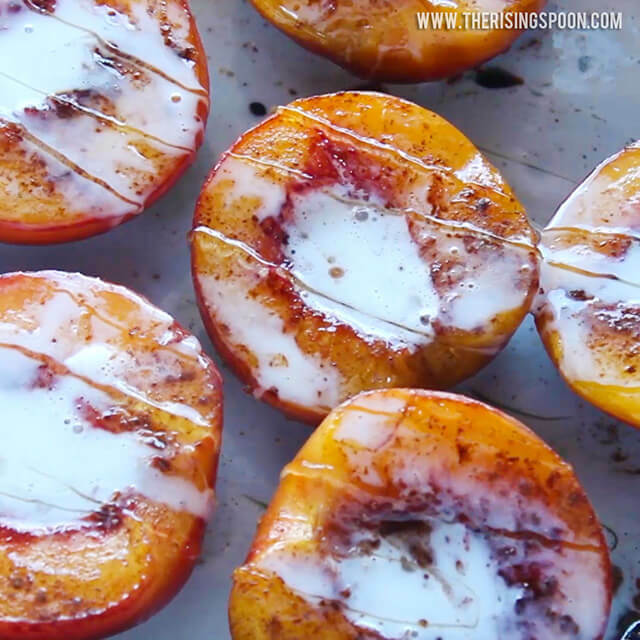 Sprinkle cinnamon powder across the tops of the peach halves. Pour coconut milk into the middle of the peaches and then the rest of the milk around the peaches. Drizzle raw honey across the halves. 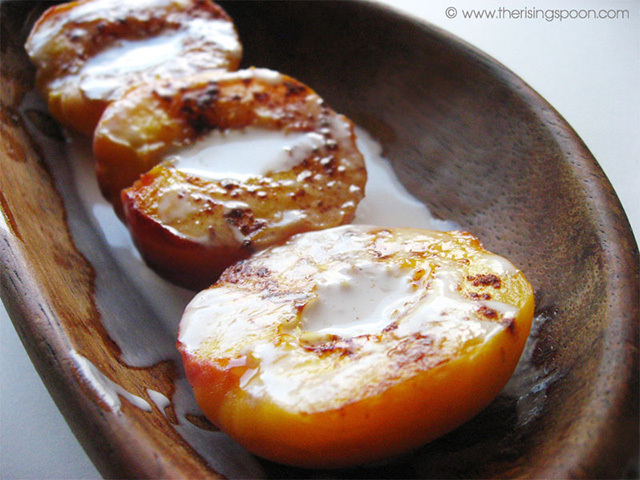 Serve immediately or let it sit for a few minutes so the peaches warm up the coconut milk. When you take a bite of the peach, make sure to dip it in coconut milk, which will now be sweetened and spiced with cinnamon and honey. Isn't it heavenly?! Click Here To Pin This To Your Summer Desserts Pinterest Board!